They say that Justice is blind. That needs to be amended. At times, justice can be plain deaf and dumb. I don’t mean that as an affront to people who have difficulty with hearing and speaking. I mean it in the worst possible way - as in ignorance. 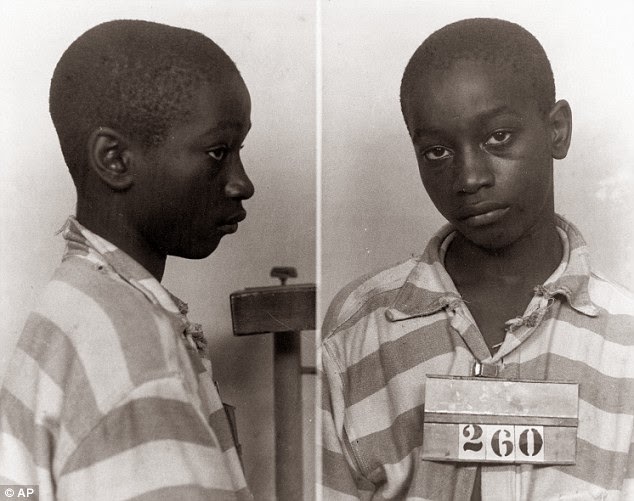 George Stinney, Jr. was 14 years old in March 1944 when he was arrested and charged with the murder of 2 white girls; Betty June Binnacker and Mary Emma Thames, aged 11 and 8 respectively. The girls had gone looking for wildflowers along the railroad tracks which divided the town of Alcolu, South Carolina by race and never made it home. During the subsequent search for the missing girls; which young Mr. Stinney participated in; he happened to mention that he had seen the girls earlier that day. He was immediately arrested and charged with their disappearance. When the bodies were found in a drainage culvert; bludgeoned to death; Stinney was charged with their murder. Detectives; possibly the two in the photograph above; extracted a confession from the boy with the promise of ice cream. No legal representative was present when he allegedly confessed to the crime. To make matters even worse his parents were not permitted to see him between the time of his arrest in March and his execution in the electric chair that June. Even by the standards of the time, this was beyond the pale. That is, unless you were a 14 year old black kid in Alcolu, South Carolina in 1944. George Stinney was 5’1” tall and weighed 95 pounds. They had to stack books on the seat of the electric chair in order to kill him. Kind of like a booster seat at the barber shop when I was a kid. 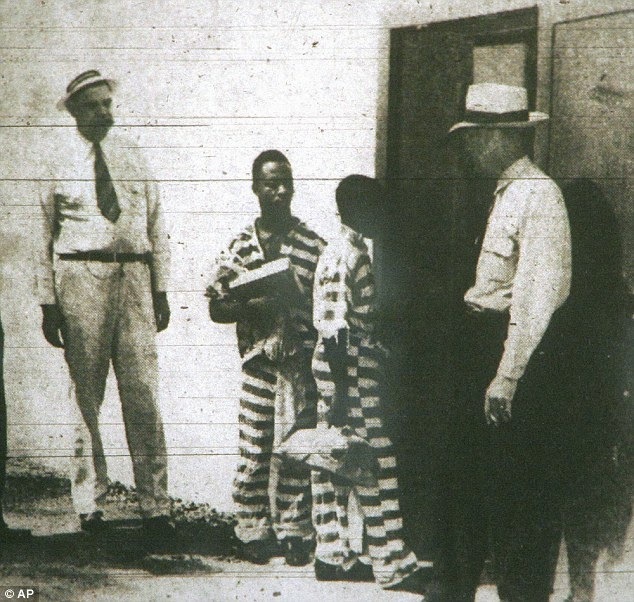 That photo above was taken as Stinney, and a 21 year old named Bruce Hamilton, were being taken into the death house in Columbia, South Carolina for their executions. Here's Mr. Stinney's mug shot. It will give you a better idea of just how young he was. He was, truly, just a boy. There is no written record of his supposed confession. His trial lasted a mere hours. There was no appeal and he had no representation to speak of. So, you have to wonder; most people take great pains to tell you that someone in their families have been in the news; especially when it's something historical. I’m sure those two officers names were in the paper that day. That begs the question of just why those two men are never named in the photograph anymore, and why no one claims them as their own. Which is all you need to know to understand just how wrong this was. Note: I am not against the death penalty. I just think you should have to prove it first.